Vatican City, Jul 6, 2018 / 04:21 am (CNA/EWTN News).- After a long battle with Parkinson’s Disease, Cardinal Jean-Louis Tauran, a seasoned Vatican diplomat who announced Pope Francis’ election to the world in 2013, died Thursday at a hospital in the United States. According to Italian newspaper Vatican Insider, Tauran, who until his July 5 death served as president of the Pontifical Council for Interreligious Dialogue, had traveled to Connecticut for treatment, staying with the Franciscan Sisters of the Eucharist in the Archdiocese of Hartford. 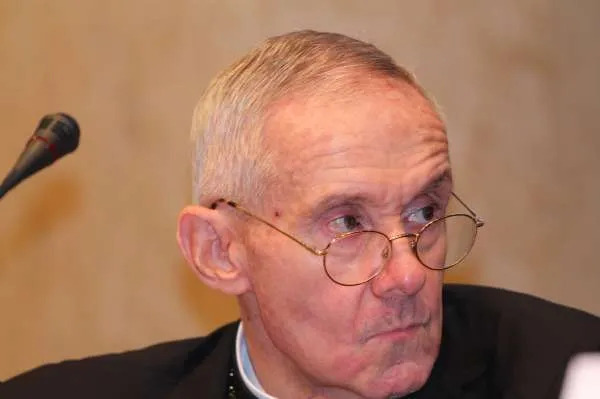 Despite a progressive decline in his health, Tauran made a lengthy and historic visit to Saudi Arabia in April to advance the Holy See’s relationship with Saudi authorities, and to reinforce dialogue between Christians and Muslims. Born in Bordeaux, France in 1943, Tauran turned 75 April 3 and has a long track record of diplomatic service in the Vatican. Ordained a priest in September 1969, the late cardinal held licentiate degrees in philosophy and theology, and he also held a degree in canon law. After serving as parochial vicar for a period of time after his ordination, Tauran in 1975 entered the diplomatic service of the Holy See when he was named the Vatican’s ambassador to the Dominican Republic. He was then sent as a papal envoy to Lebanon, and later represented the Holy See at the Organization for Security and Cooperation in Europe (OSCE), participating in multiple conferences throughout the continent. 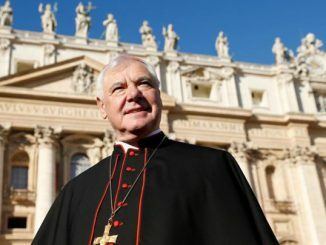 In 1988 he was named undersecretary for the then-Council for the Public Affairs of the Church – now known as the Section for Relations with States in the Vatican’s Secretariat of State – and in 1991 Pope John Paul II appointed him secretary of the dicastery and made him an archbishop. In that role, which is equivalent to a Foreign Minister, Tauran led delegations from the Holy See to numerous international conferences. The cardinal was appointed archivist and librarian for the Vatican in 2003, and in October of that year was given a red hat by Pope John Paul II. In 2007, he was named by Pope Benedict XVI as president of the council for interreligious dialogue. Benedict in 2011 named him “cardinal protodeacon,” a role usually given to a senior prelate who is then tasked with announcing the name of a new pope after his election. Tauran held this position when Francis was elected in March 2013, meaning it was his voice that carried the words “habemus papam” to the hundreds of thousands of pilgrims and locals awaiting the announcement in St. Peter’s Square. After his election, Pope Francis established the Pontifical Referring Commission to the Institute of Religious Works (IOR), also called the “Vatican bank,” to study ways of reforming the institute, and named Tauran a member. In December 2014 Francis named Tauran as Camerlengo of the Holy Roman Church, meaning he was the prelate tasked with keeping the Vatican running after the death of a pope. In a July 6 tweet, British Ambassador to the Holy See Sally Axworthy said she was sad to hear about Taruan’s death, and said he had shown the embassy “great support” at an event organized in January. “He was both an intellectual giant and a man of great warmth and humour, who worked tirelessly to build relations with the Muslim world. We will miss him greatly,” she said. 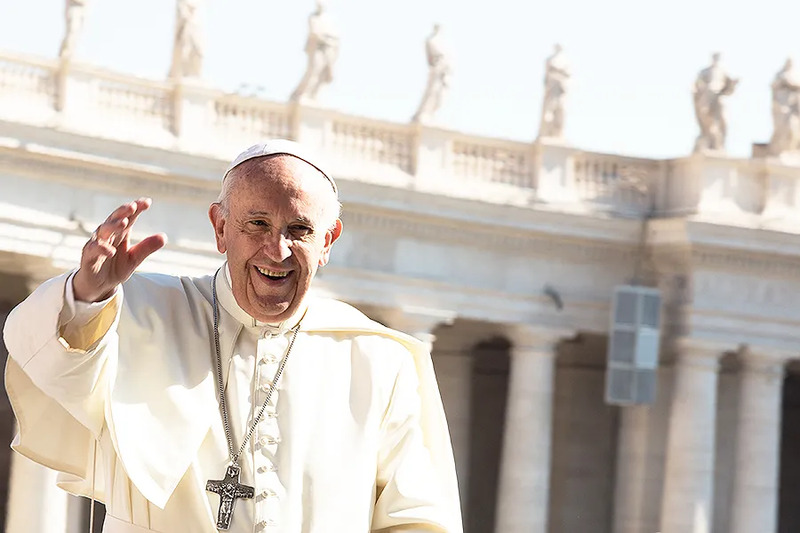 Vatican City, Jun 13, 2017 / 12:04 am (CNA/EWTN News).- Pope Francis sent a letter last week to the Latin American Parliament as they discuss migration in the region, encouraging governments to protect all who reside in their territory regardless of their origin. “As members of a large family, we must work to place the ‘person’ at the centre; this is not a mere number or an abstract entity but a brother or sister who needs our help and a friendly hand,” the Pope wrote in his June 7 letter to the Latin American Parliament, which is holding its 33rd General Assembly. The assembly of representatives from 23 Latin American and Caribbean countries is meeting to discuss migration in the region and international responses. Francis offered his congratulations to the parliament “on this initiative that aims to help and make life more dignified for those who, having a homeland, regrettably do not find in their countries adequate conditions of security and subsistence” and are forced to flee. The Pope’s message highlighted three themes: reality, dialogue, and commitment. He explained how each of these can be oriented toward developing effective humanitarian aid for migrant peoples. Speaking about his first chosen word, “reality,” Francis emphasized knowing the causes of migration. Francis expressed hope that the assembly would produce “valid responses for migrants and host countries,” as well as security which is based in reality. “Dialogue is essential to foster solidarity with those who have been deprived of their fundamental rights,” Francis said. Speaking on commitment, the Pope cautioned against spending too much energy “on the detailed analysis and the debate of ideas,” saying instead that a solution must be sought. “Latin America and the Caribbean have an important international role and the opportunity to become key players in this complex situation,” he said. He emphasized the need for mid-term as well as long-term planning so that aid can extend beyond emergency responses. This, he said, will allow for migrants’ integration into their new nations and, assistance in the lands they fled. In closing, Pope Francis encouraged the assembly in their work on this crisis, and prayed for the intercession of the Holy Virgin, recalling the Holy Family’s flight to Egypt. He asked for the prayers of the assembly, and asked God to bless them. Vatican City, Jun 9, 2017 / 04:31 pm (CNA/EWTN News).- Pope Francis participated in a Google Hangout on Friday with youth from around the world, emphasizing that “everyone has meaning,” even though the world will try to exclude certain people. The hangout, Pope Francis’ third time for the meeting, was organized for the inauguration of a new Vatican office of the Scholas Occurentes, a world-wide initiative in schools to encourage social integration and the culture of encounter through technology, arts, and sports. Society “is accustomed to exclude, to select, to attack, to shut out people,” he lamented. 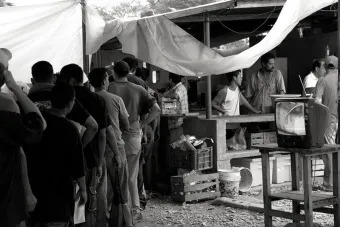 The video chat included youth from the countries of Italy, Colombia, Haiti, Paraguay, Argentina, Brazil, Mexico, Spain, and the United Arab Emirates. Each group took turns giving a short presentation on the impact of their local “Scholas Ciaudadania” group. The Pope listened intently to each one before making his comments in Spanish. “This work that you’re doing, of encountering one another, dialoguing … is an example for us grownups,” he said. Scholas was started by Pope Francis when he was Archbishop of Buenos Aires. In 2013 it was approved as an ecclesiastical institute by the Holy See. With just a few youth involved at its beginning, the foundation now consists of a worldwide network of over 400,000 state and religious schools, which are organized by Argentine school headmasters Enrique Palmeyro and José María del Corral.